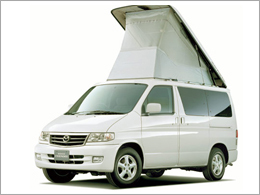 Here at RD Motors we have worked on Mazda Bongos since the early days when they were first being imported and have since built up a lot of knowledge on the much loved camper van. 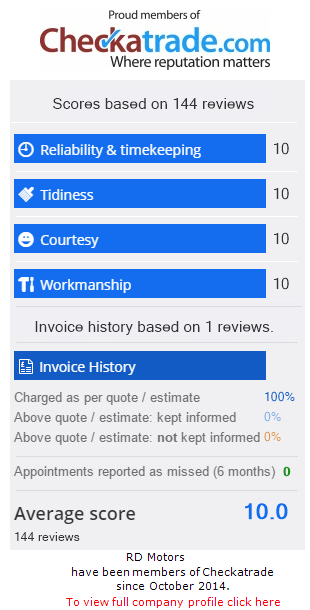 We enjoy working on them and are only to pleased to share our knowledge and help you with any questions no matter how big or small. We have access to an extensive range of parts and a lot of the more common parts are kept in stock. At RD Motors we are well aware of the common faults that can occur on your Mazda Bongo and are very experienced with dealing with them in the most efficient way possible. 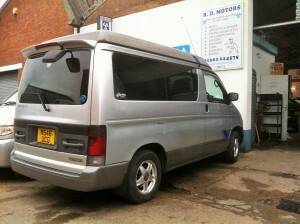 All prices are + vat and include replacement air filter and fuel filter if required. 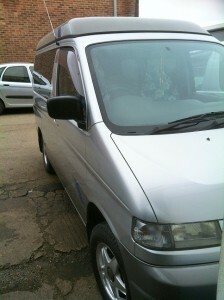 Prices also include an oil flush which helps to remove contaminates and a fuel treatment to help keep your engine clean. As well as the standard servicing and mots that are carried out on premises, we also offer specialist repairs and modifications to fit your needs, such as tow bars, roof bars, low coolant alarms and additional lighting. 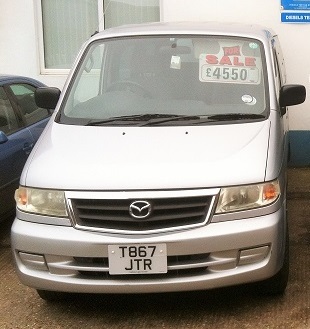 We have a small selection of used Mazda Bongo's for sale. Please call for details.